A North Liberty Street Classic! 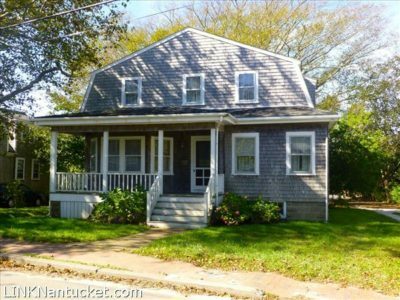 Early 20th century house in need of updating with a lovely front porch facing the Historic District of Nantucket. Nice back yard with parking for 2 cars off of a private way. Expansion potential with room for a garage or perhaps a small studio. New roof in October of 2017. This property is located in a ideal location about a half mile to the amenities of Town past the park at Lily Pond, and it is also equidistant in the opposite direction to the top of the stairs to Steps Beach to enjoy swimming in the Sound and gorgeous sunsets.